For many years, I taught chapel at an elementary school. What a blessing it was to be able to lead worship and sing with energetic students. One of my favorites songs referred to Matthew 7:24-27, a Bible story about the wise and foolish builder. The kids and I would stand tall with our peaked-hand homes built on the rock and then fall to the ground when the song referred to the house built on the sand. The kids knew Jesus was the “Rock” and the best and firmest foundation to build a life upon. I knew this too. But I looked at the scripture a bit closer when I went through the storm of breast cancer. Breast cancer rocked my world (no pun intended). Long story short, I had two surgeries to remove the cancer. Eventually, I had both my breasts removed. I live as a breast-free woman in today’s world. I discovered I carried a genetic mutation called the BRCA-1. Essentially, I have an open door in my genetic code that ushers in several cancers. When I had my breasts removed, I had my ovaries removed as well. Nothing like instant menopause. Because Jesus is my Savior, and I have an amazing family, and church family, I weathered this storm. My house stood firm on the Rock. But, after life got back to post-surgery normal, I realized that the storm of cancer left some residual storm damage. I had to wear prosthetics which led to wardrobe issues. My body temperature was out of whack due to menopause, so I didn’t sleep at night. My energy level lagged after radiation. It was then that I looked at Matthew 7 differently. I noticed that the winds that blew and beat against the house built on sand, and leveled it, were the same winds that beat against the house on the rock. The home built on Jesus stood, but that didn’t mean it didn’t have some minor storm damage--a possible shattered window or crumpled siding. God had saved my life, but it was never going to be the same—until Glory. Through my cancer treatments came an awareness that people going through the traumas of life sometimes carry some storm damage with them after the strongest winds have died down. The chaos in my life came from cancer, but others deal with chronic illness, or the loss of loved ones, or mental illness, or divorce. The list carries on. We all face our unique “storm” damage. My novel “Building Benjamin” comes from Judges 19-21 where storm damage abounds. Naomi has lost two brothers in war with the Benjamites. Eliab has lost his mother, brother, and sisters during the same war—but he’s a Benjamite. Can Naomi and Eliab overcome their anger and grief and fall in love? God must heal their hearts and repair the damage of betrayal before they can have their happily-ever-after. God will give us the strength to keep on living life after a major storm, but Christians can help repair some of the damage. What can we do as the body of Christ? ~Pray for someone who is going through a storm. Send them a card or call to let them know that you are praying for them. ~Bring them a meal or take them out to lunch. ~Accept someone’s new limitations. Ask how they are doing. ~Be aware of storm damage. ~Praise the Lord if you don’t have any storm damage! I am truly grateful that God brought me through my cancer. I have had family members that were not blessed with a cure, but they have the hope of eternal life with Jesus. I thank God that he has given me His strength, and a sense of humor, to deal with my “storm damage.” With my cancer, came a renewed awareness that every day is a gift from God. What has helped you weather the storms of life? Let’s add to my list on how we can help others with storm damage. 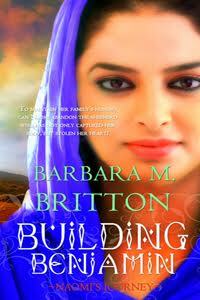 Barbara M. Britton lives in Wisconsin and writes Christian Fiction for teens and adults. She has a nutrition degree from Baylor University but loves to dip healthy strawberries in chocolate. Barb brings little-known Bible characters to light in her Tribes of Israel series. You can find out about Barb’s books on her website, or follow her on Facebook, Twitter, and Goodreads. Book blurb for Building Benjamin: Love Grows Where God Grafts the Tender Shoot. Naomi desires to dance well enough to catch the eye of a wealthy landowner. Her father needs a substantial bride price due to the deaths of her brothers at the hands of the tribe of Benjamin. But when Benjamites raid the Ephraimite feast and capture young girls, Naomi is bound and carried from her home by Eliab, a troubled shepherd who needs a wife. As Naomi awaits rescue, she finds Eliab has a strong faith in God and a just reason for abducting her. A reason that affects all the tribes of Israel. The future of the tribe of Benjamin hangs in the balance, but if Naomi follows her heart and stays with Eliab to rebuild his lineage, she must forfeit her family and become a traitor to her tribe. 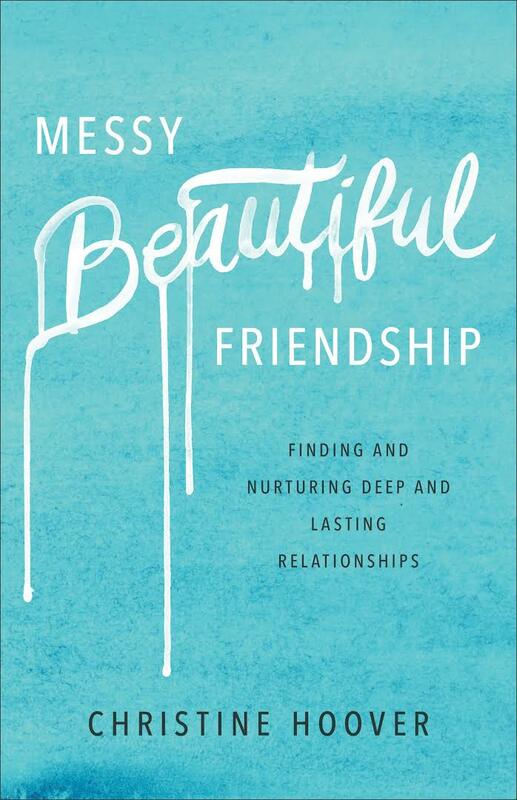 In her book, Messy Beautiful Friendship, Christine Hoover tackles the topic of friendship between women. She doesn’t hold back in her exhortation and encouragement for women who have struggled to find and nurture deep, lasting relationships. 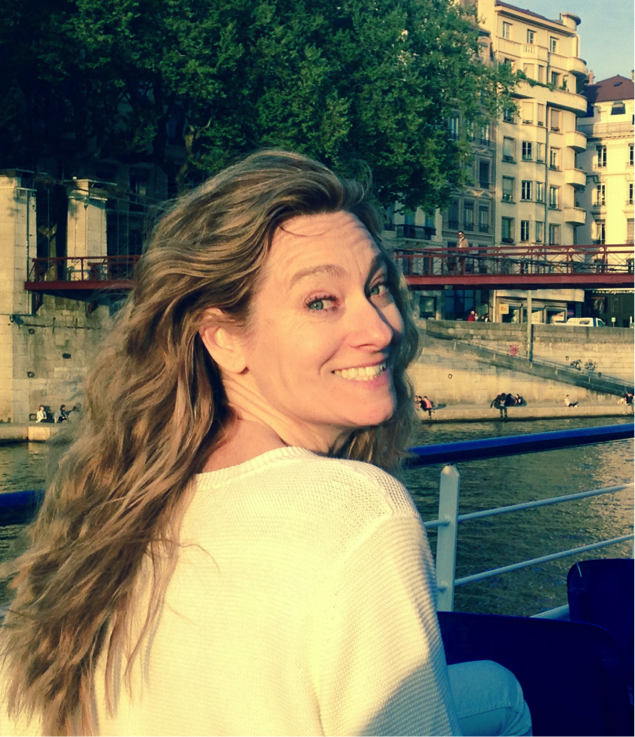 The author shares scenes from her personal life story and points out her flaws. Yet her tone is not critical. She writes with wisdom, care and finesse. Her tone is kind and comforting yet at times a bit forthcoming but for good reason. It is obvious that the author has learned life lessons and she wants to save the reader the heartache that comes when you don’t have a close, honest and open friendship with another woman. She makes a clear case that no matter what stage of life a woman is in, she needs women friends who speak her language and can uplift her heart. The value of a friend who understands you and isn’t afraid to point out what you need to work on is priceless. Hoover doesn’t leave her readers clueless. She provides sound advice in each chapter as to how to find and nurture deep relationships with other women that last. She shares strategies to help women overcome the roadblocks that stand in their way to having true, reliable friends. She addresses the issues of insecurity and isolation. The author does a great job of letting the reader know that she is not alone. 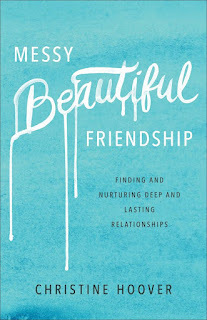 She opens the readers’ eyes with her “biblical vision for friendship” that, if applied, will reap great benefits. The real-life scenarios in each of these five parts of Hoover’s book are written in a way that’s engaging and encourages empathy. She talks about how the struggle to find good friends gets harder when you get older but shows the reader how it is still possible to have your dreams come true for friendships that stand the test of time, with God’s help. God is part of the picture in this book. The author reveals to the reader how faith in God plays a key role in finding and keeping friendships that are godly and good for you. Hoover accomplishes her goals in this book page by page. Her writing style is friendly and warm. Her stories are relatable and applicable to the modern woman. This entire book is wonderful and inspirational. As a reader, I now feel motivated to invest in finding and nurturing friendships with women that last for a lifetime. Alexis: Hi, Allegra! Welcome to my blog. I am excited to interview you! Alexis: How important is coffee to you? I noticed in the first lines of your story that you think in coffee illustrations. Why is a Kit Kat Latte your favorite coffee? Allegra: Alexis. Coffee is lifeblood. I mean, it’s what wakes me up, keeps me motivated. Saves Tyler’s life. Ha! As for why the Kit Kat latte is my favorite, well…chocolate, vanilla, and when I’m feeling especially adventurous, I have Jael (my barista) add a splash of hazelnut. It’s peace, joy, and love in a (ginormous) mug. Alexis: I prefer “white sandy beaches and crystal-blue oceans” to the woodsy outdoors too! I totally “get” you on this point. But does your love for the beach and calm waves contradict Tyler’s love for “the great outdoors”? If so, share how your different interests helped and hurt your relationship. Allegra: Believe me when I say that Ty can find adventure wherever he goes. That man. UGH. He does have a special love for the mountains, though. And jumping out of planes. And helicopters. I mean, really. Who heli-skis? But I digress. So at first, our different interests really hurt our relationship. Well, what relationship there was. If you’ve read our story, you know that Tyler and I are opposites, to put it mildly. If you haven’t read our story, I don’t want to give everything away, but let’s just say that our ideas of “adventure” are pretty different. That made Tyler hesitant to pursue me (the punk). But I’ll admit, it made me pretty resistant to the idea of a relationship with him, too. Now though, when we go to the mountains, I’m way more open to paragliding, so we do that as well as go hiking. He’s trying to talk me into going zip-lining up in Vancouver, but I’ve heard about one of those lines, and I don’t know. I’m working up to it. Maybe. Alexis: The chemistry between you and Tyler is electric! Why did you fight so hard at first to NOT like him? But at first…yeah. I mean, he’s cute. Really cute, but he’s my employer. And the man is a risk-taker! I have a not-so-great history with risk-takers, and to be honest, that really scared me. I mistakenly believed that a risk-taker was too selfish to be in a relationship, always putting their life in danger for a momentary adrenaline rush without thought to others who love them. I learned a lot through our story, though, and am happy to report that I am still going on adventures with Tyler. Slightly more subdued adventures, much to Ty’s chagrin. Alexis: I know that you were initially mad at your sister for setting you up with Tyler. But somewhere deep inside, were you secretly glad? Be honest! Allegra: Caprice deserved to never have coffee again for that stunt. But I’ve grudgingly forgiven her. Ha! Okay, more than grudgingly. Deep, deep, way deep down, I was a little glad she did, despite the extreme embarrassment I suffered at the restaurant. I’m happy to report that waitress no longer works there. She apparently dug her claws into a model, married him, and now lives in Paris. So she’s far, far away from Ty. Alexis: Describe your first date with Tyler. What were you thinking? How did you feel? Where did he take you? What did you do on the date? Allegra: Our first date without Mikal’s interference (again, side-eyeing her) was magnificently calm but a little higher elevation than I’d like. Tyler took me to SkyCity Restaurant. It’s a revolving restaurant 500-feet up the Space Needle in downtown Seattle. I had the pan-seared scallops, which were divine. Ty had the mocha-braised short ribs. And yes, I had a bite and it was also so good. After, he took me up to the observation, much to my chagrin. But I’ll admit—it was stunning. Seattle is seriously a gorgeous city. Alexis: Describe your first adventure with Tyler—paragliding! Why did you think you’d die? What was it like, soaring through the air attached to a hottie like Tyler? Allegra: Um, hello? However many gazillions feet in the air with nothing but a couple of pieces of layered fabric and some lines holding you up? Yeah. Deathtrap. Never mind that I didn’t die, that’s beside the point. You know, Story pulled me aside later and asked me if being attached to Tyler changed my mind about him at all. At the time, it just confirmed that we are so different. But looking back at the selfie we took, I can totally see the sparks and remember how comforting he was. Despite trying to kill me. Alexis: What made you decide that you should give adventure—and a romantic relationship with Tyler—a chance? Do you regret your decision? Why or why not? Allegra: Well, the contract kind of forced me into giving adventure a chance. Ty was just a bonus. Eventually. Once we sorted out our fears and differences. Do I regret my decision? Absolutely not! You can’t regret a gift from God, especially one as caring, compassionate, genuine, funny, loving, and—let’s be honest—good looking. Alexis: Why did Tyler’s first prayer with you bring tears to your eyes? Allegra: Tears? I didn’t cry. Nope. Sigh. Fine. I teared up. I think it was because when Tyler prayed he also released me from any guilt, despite the mishap being my fault. I’ve always taken on perhaps more than my share of responsibility, and even then he knew I would be hard on myself for what happened. Rightfully so, but it was a sweet moment to know that he forgave me. Alexis: Describe the first time Tyler kissed you. What were the sensations? What were your thoughts? Were you able to think? Lol. Allegra: Oh. My. Goodness. That kiss. I’m going to need a fan again. I’m not one to kiss and tell, but let’s just say I didn’t know what thoughts and words were when he kissed me, so I couldn’t even describe the sensations to you. All I remember was searing heat and lots of tingly feelings. Alexis: What did Tyler’s constant challenges of pushing you out of your comfort zone do for you and how did it affect your relationship with him? Allegra: Ty has such a passion for people, helping them grow and learn that they can do more than they think they can. He’s so good at it. I’ll be the first to admit, though, that it was super annoying when I first met him. I like safety. Danger can lead to pain and death. I don’t like pain, and I most certainly don’t like death. Yikes. Through the course of our relationship, however, I grew so much, and that was because Tyler pushed me out of that comfort zone. Through his encouragement, I learned to take that step of faith in God and lead the life He wants to me. Jesus didn’t lead a safe life—He pushed the boundaries, made spectacular declarations of who He is, healed people when He knew the Pharisees would try to trick Him so they could put Him to death, and put His life into His Father’s hands, knowing it would lead to His death…and resurrection. Tyler and I learned together to follow in Jesus Christ's steps and take those risks worth taking. Though I still argue that skydiving is not a risk worth taking. Alexis: What would you say is your most precious moment that you spent with Tyler? What made it special to you? Allegra: Since you all know our story is a romance (a romantic comedy—apparently we’re hilarious), then you probably know that Tyler and I get together in the end. That ending is our most precious moment together. It was romantic, sweet, and life-changing. Alexis: What do you want women who are like you, the ones who “live with a safety net”, to learn from your story? Allegra: To let that safety net go. Don’t go all crazy and think I’m advocating putting your life in needless danger (*ahem* Tyler), but to step out in God’s direction, knowing that He has you in His hands and won’t let you go. And if you feel like you’re falling, know that His hand is under you ready to catch you. Be bold. Be fearless in Christ. Also, if you find a former NFL star who loves Jesus and you’re single? Don’t let him go. Alexis: Thanks for the interview, Allegra! God bless you, girl! Allegra: Thank you so much again, Alexis! I had a ton of fun. Oh! Bo and Story, mine and Tyler’s best friends, have quite the story, too. Mikal is transcribing their story right now and will announce the release timeframe in her newsletter later this year, so make sure you sign up for that on her website to be the first to know! Mikal Dawn is an inspirational romance author, wedding enthusiast, and proud military wife. 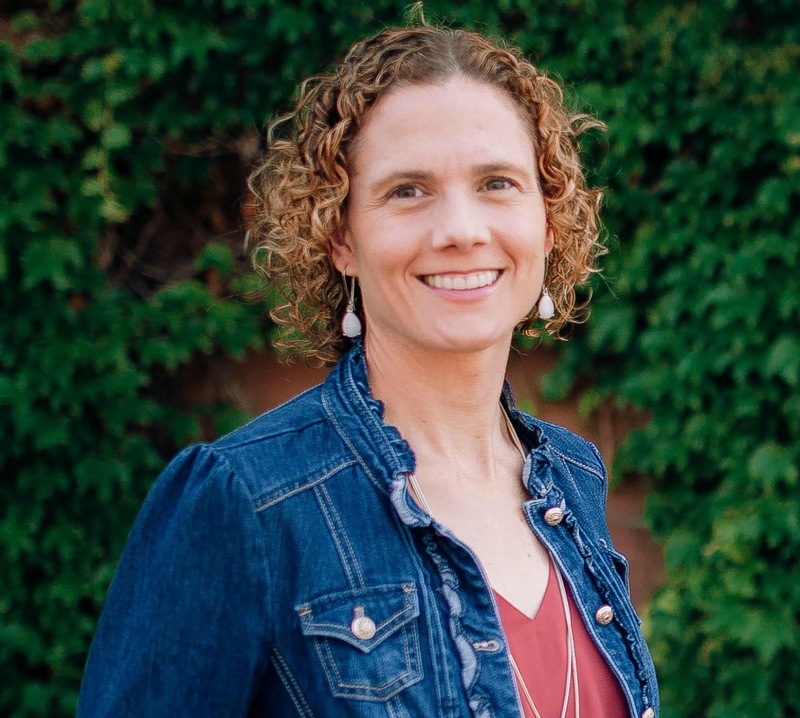 By day, she works as an administrative assistant for an international ministry, serves in her church’s library, runs her kids to all their sports, and drinks lots of coffee. By night, she talks to figments of her imagination as she attempts to write while dinner is burning. And drinks lots of coffee. When she isn’t writing about faith, fun, and forever, she is obsessively scouring Pinterest (with coffee in hand, of course!) for wedding ideas for her characters. Originally from Vancouver, Canada, Mikal now lives in Nebraska with her husband, their three children, and one ferocious feline. Connect with Mikal on mikaldawn.com, Facebook, Twitter, Instagram, and Pinterest. 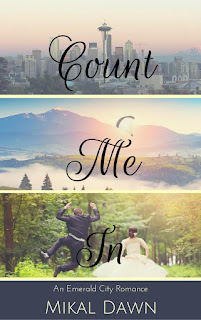 Blurb for Count Me In (book): Allegra Spencer has been living a careful life. Her safe job as an accountant is bookended by going to church and the gym. Okay, sometimes the gym. Fine. She goes to church. And the coffee shop. She avoids risk at all cost, preferring to stay safe in her cozy condo. Until her accounting firm goes belly up and she's out of a job. Tyler Hawk had a glorious career as a star NFL tight end. He retired on a high note and now lives a second dream of owning his own business and leading others on extreme outdoor adventures. But he needs help with his books--and his heart. When Allegra takes the job, sparks fly. It's a case of safety zone versus danger zone, and in their minds, never the two shall meet. 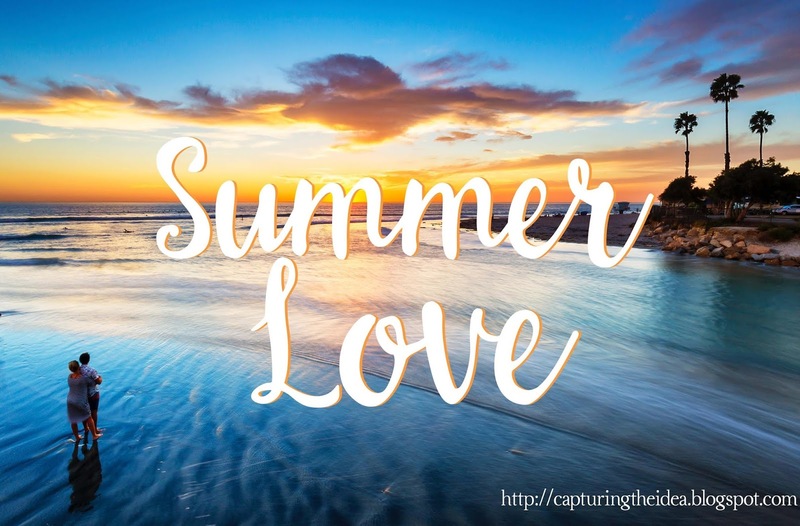 This devotional was inspired one summer night in July 2017. I’d logged into my Facebook page and saw an update from one of my friends. She’s an author who’s working on a new novel. I’m one of her beta readers. The message from my author friend noted how she would award her beta readers after her book was ready to be published. She said, “As a reward for being a HUGE part of this creation, you’ll have your name mentioned in my acknowledgments and you’ll get a free, autographed copy of the paperback when it releases.” As I read this note, Luke 12:8 came to mind and a parallel was formed! I realized that book enthusiasts get excited when their name is mentioned in the acknowledgments of a book by one of their favorite author friends. It’s exhilarating that we though in most cases are not an author, played a role in helping the author create this polished book. We like to see our name in print. It gives us a feeling of significance and lets us know that the author wants us in their life. But did you know that there’s a GREAT book that God wrote called The Book of Life? Everyone whose names are written in the Lamb’s Book of Life will be saved and go to Heaven when Jesus returns to Earth to take His faithful followers home. 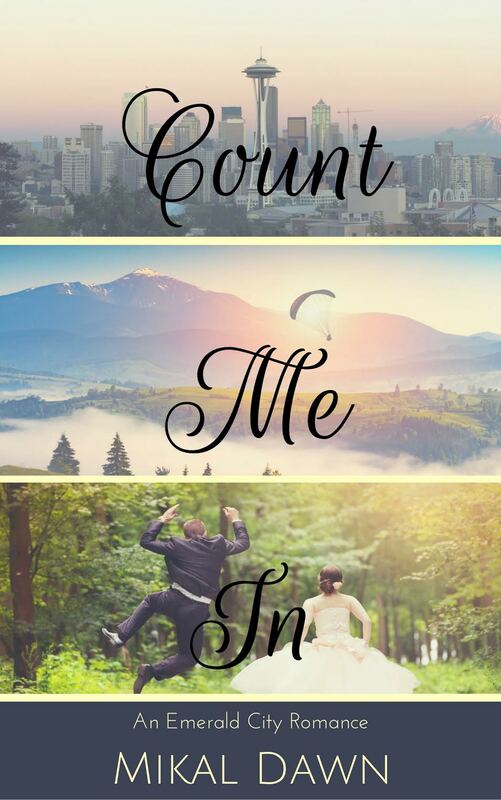 Now that is a happily ever after ending that I want for my life story! Heaven is going to be wonderful. The struggles we face here on Earth can’t compare to an eternal life free of sin and pain (2 Corinthians 4:17) that awaits us! Most importantly, having our names written in the Lamb’s Book of Life brings me so much hope and joy! It shows just how special and significant we are to God and it portrays the enduring, forever love that our Savior Jesus Christ has for humankind. It’s wonderful to have our names mentioned by our favorite authors in the Acknowledgements section of their book but there’s one Author Friend’s Book that I most want my name to be in and that’s in the Lamb’s Book of Life. Jesus Christ is the Lamb of God and I want to be acknowledged in His book, don’t you? So what can you do to be acknowledged by God? By committing your life to Him and accepting the free gift of salvation offered to you through the sacrifice of His Son Jesus Christ! Live your daily life in obedience to God. Study the Bible and apply its principles then watch your faith in God grow! Remember, it is better to be acknowledged by God than by man. Please welcome my writer friend Jennifer Slattery to the blog. She's going to share an excerpt from her new novel that releases today! 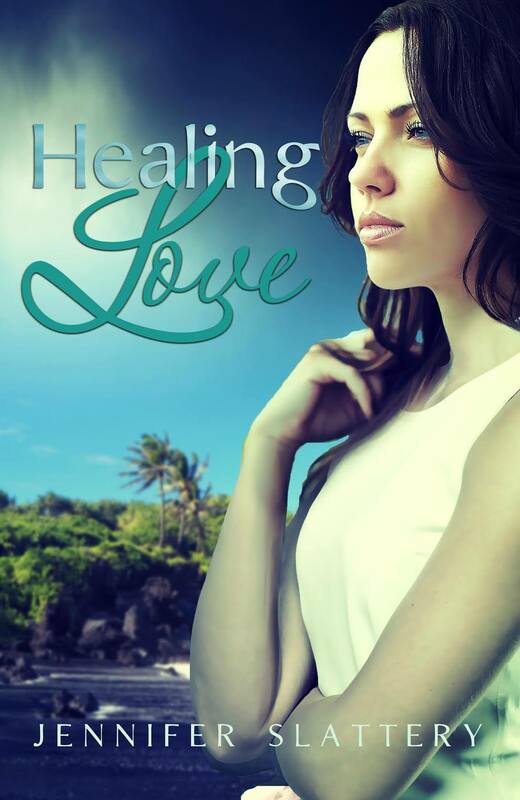 Her story is called, Healing Love. See the gorgeous cover? I hope that you will support Jennifer by purchasing a copy of her book! Meanwhile, learn more about Healing Love in my review of her book and the excerpt below from her story. Healing Love is the story of Brooke Endress and Ubaldo Chavez. Brooke and Ubaldo meet on the mission field in El Salvador. Ubaldo is a native of El Salvador where he works as a teacher and translator. Brooke is an All-American girl with a passion for broadcast journalism. When the reader first meets Brooke, she is focused on rising in the ranks at work. She wants to advance her career by becoming on-air talent at a TV station. Love is not part of Brooke’s life plan…until she meets Ubaldo. Ubaldo’s world is rocked when he meets Brooke. He notices her beautiful exterior first but as the story progresses it’s her soft heart of gold and her passion for helping children that win him over. 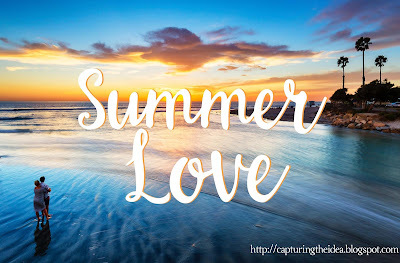 This is a sweet, strong and wonderful story about what can happen when you allow God to write your love story and exchange your career plans for His life plan. I love the way that the author (Jennifer Slattery) brought Brooke and Ubaldo together. It was unexpected, filled with surprises and so beautiful. The plot of this story is solid, believable and worth noting. The author writes in a way that’s engaging, heartwarming and real. The author’s heart for the mission field shines through in the way that she writes this story. She’s created characters that are likable, relatable and completely captivating. She paints a picture of the orphan children that draws the reader in and makes them want to advocate for their welfare even though this is fiction. This story is a bit over 300 pages but is so wonderful that you may stay awake, paying full attention to this story until you reach “the end”. This was not what Brooke had gone to school for. With a huff, she dropped her pen on the mountainous stack of stories she’d been assigned to fact check. So far, the only errors she found were minor—grammar and spelling, largely mute points in television. Then there was the occasional hilarious lead-in she felt tempted to share on Facebook, like the one she’d just read: “Increased Unemployment Rates Lead to Joblessness in the Inland Empire.” You think? She was tempted to slash through the line with her red pen. But not knowing this reporter and how he’d react to such “help,” she opted to leave it be. Unfortunately, she wasn’t paid to have an opinion. “God’s got big plans for you, peanut. Trust Him. Follow Him, no matter where He leads.” The memory of her dad’s voice weighed heavy on her heart. She inhaled a deep breath. Was this what you had in mind, Daddy? Melancholy wouldn’t get her anywhere. He’d never encouraged the easy road. News broadcasting was a competitive field. Brooke knew that going in. So it was taking her longer to get her break than anticipated; she’d simply work harder. And smarter. She let her gaze roam across the newsroom. Printers hummed from the long, rectangular table dividing two expanses of cubicles. Nails clicked on at least a dozen computer keyboards. Interns scurried about, some chasing down reporters to pitch stories or ask questions. Brooke focused once again on her notes. She needed to come up with a fresh pitch—a story idea that would put her name on the station manager’s radar. If she could somehow secure an interview no one else had thought of, or maybe approach a hot story from a new angle. What about women re-entering the work force? No. That’d been overdone. What about teachers … losing their jobs over … She tapped her pen against her palm. Low test scores? Lack of funding? Her phone, set on silent, vibrated. She checked the screen. Aunt Isadora. “Hey.” She stood. “Everything okay?” She needed a change of scenery. And a snack to jumpstart her lethargic brain cells. She headed for the break room, changed her mind, then turned toward the lobby. “I don’t know if I’d call our station’s biggest story a flub, but in answer to your question, no one as good.” She grinned and, once in the lobby, shot a wave to the station receptionist before slipping past her. She continued down a long, quiet hall to three large snack machines, one of which kept Skittles stocked. Brooke’s heart swelled at the pride in her aunt’s voice. With all the rejections she received on a weekly basis, it felt good to know those she loved most stood behind her. If only her parents were still around. A painful lump lodged in her throat. “Right?” Her phone chimed an incoming email, and she tapped the icon. Her pulse increased a notch—it was from KTLA’s news director. She paused to take a deep breath, wiped a sweaty palm on her pant leg, then opened the message. Thank you for your inquiring but we are not hiring at this time. Best of luck to you in your career endeavors. As close to a form rejection as one could get, and her third this month. So far, every major television station in a two-hour radius had rejected her. True, but Brooke had no intention of moving, at least, not until her sister graduated from high school. She’d dealt with enough already. “You too.” She tucked her phone in her back pocket and faced the vending machine. What had gotten into her? She was acting like a tongue-tied, socially awkward teen. Which was completely ridiculous. So Caleb was successful, deemed one of the Inland Empire’s most eligible bachelors. So what he was a news room favorite, with ratings to match? And incredibly handsome, with his blond hair, green eyes, and baseball player build. So what that a recommendation from him could quite possibly launch her career? “Ah. Appetizing. I’m Caleb, by the way.” He extended his hand, and the two shook. “Uh, no. I’ve been on staff for over a year now.” Almost two, actually. He angled his head, brow wrinkled, as if trying to place her. Was this meant to be a pep talk? If so, she’d take it. And the connection. “Listen, would you like my business card? I’ve got some story ideas I’d love to pitch.” Or more honestly, she had some vague ideas she planned to hone into pitches, given enough time. And chocolate. She dug into her purse then stopped. She’d depleted her on-hand stash of business cards at a convention the previous weekend. She blinked. Really? Or was he simply being polite? Didn’t matter. First rule of success in this business—follow every lead. This one could be it, the door to a thriving career. But first, she needed an attention grabbing pitch. Brooke spent the rest of her day fighting to stay focused on her assignments rather than brainstorming potential story ideas. For the most part, she failed, ending the day with take home work and a long list of useless blurbs. Many of which her sister tried to improve upon later as they drove home. Her aunt and uncle joined in the discussion over dinner, and by the time Brooke went to bed, her brain was swimming—with hope and insecurities. The next morning, she woke an hour earlier than normal to research a few of her ideas further, then shoved her notes into her briefcase. Her television flashed on her dresser. She paused to watch Kyanne Louis lead into a breaking news story on LATV5. She studied Kyanne’s smile, counted every head bob, and noted each timely displayed affect. Brooke eyed her audition tape growing cobwebs on her dresser and sighed. She needed to make a fresh resume reel, one with more punch. More unique stories. She turned off the television and checked her appearance—navy blazer and skirt, both pressed. Cream blouse, a simple yet sophisticated necklace decorated with pearl teardrops framed in gold. Shoes—leather pumps of appropriate height, also navy. A timeless wardrobe that spoke of responsibility and loyalty. Perfect for a lawyer or criminal defendant, not an up-and-coming news anchor. But she didn’t have time to change. Besides, going through her wardrobe yet again wouldn’t suddenly bring fashion clarity. She grabbed her cell phone and smoothed her hair behind her ears. She could do this. Had to. Today, this morning, she’d march—no, walk—into Mr. Echo’s office and ask for a promotion. With Caleb’s invite and Nancy, his co-host’s approaching maternity leave, Brooke couldn’t put off her request any longer. Too many other interns fought for attention. Then why did she feel so unsettled? The smell of fresh brewed coffee and fried bacon drew her to the kitchen. Her younger sister, Aubrey, sat at the table, her beads and twine spread before her. Aunt Isidora stood at the sink washing dishes. Uncle Lester occupied his usual breakfast chair, the one closest to the window. Dressed in a striped, polyester suit and polka-dot tie, he slouched over the newspaper, bushy brows pinched together. I need to take him shopping. “I don’t empty his trash.” This was doing nothing to calm her nerves. “Yeah, like a hottie boyfriend able to whisk you up that ladder.” Aubrey shot her a wink. “What do you mean?” She sipped her coffee. Brooke coughed, spewing brown liquid across the table. She looked from her aunt to her uncle. “You’re not serious, right? This is such a bad time for me.” Had they forgotten how hard she was working to get in front of the camera? She couldn’t possibly take vacation days now. It’d kill her career. “So I’ll get a job,” Aubrey said. “Don’t know.” Aubrey strung a blue and white marbled bead onto her growing chain. Eyes hot, Aubrey gave a jerked shrug. “Well, good luck with that.” She stomped off, her flipflops slapping the linoleum. “But I can’t…” This was the definition of a lose-lose situation. Stay home and rob her sister of the opportunity to go on a rite of passage trip, or go and lose any chance of getting that co-host position she’d been pining for. 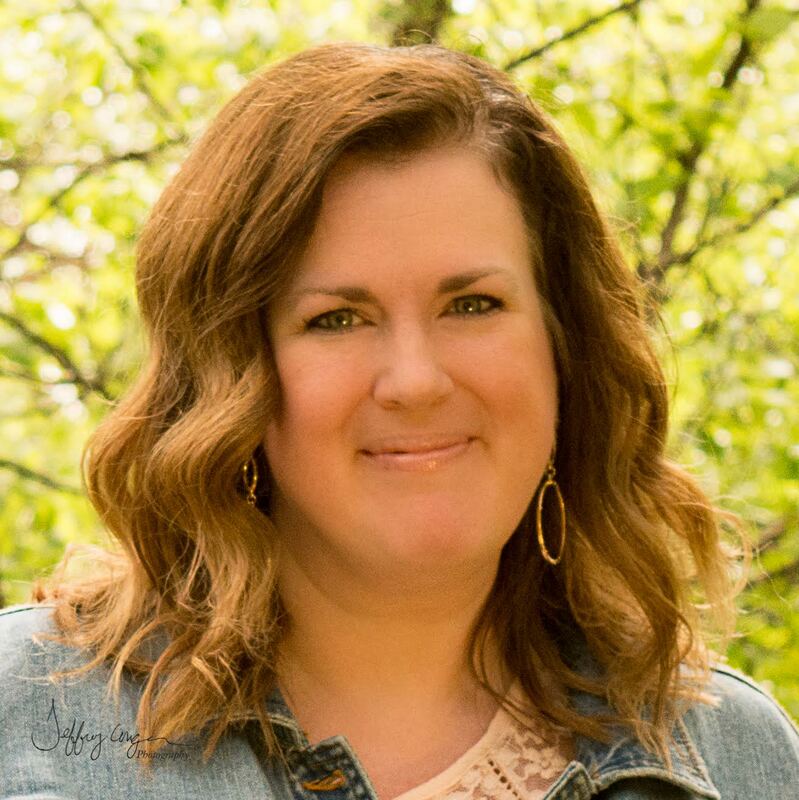 Novelist and speaker Jennifer Slattery has a passion for helping women discover, embrace, and live out who they are in Christ. 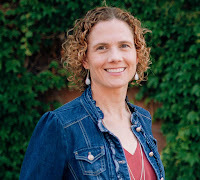 As the founder of Wholly Loved Ministries, she and her team put on events at partnering churches designed to help women rest in their true worth and live with maximum impact. 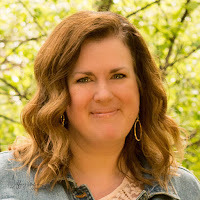 She writes devotions for Internet Café Devotions, Christian living articles for Crosswalk.com, and edits for Firefly, a Southern fiction imprint with Lighthouse Publishing of the Carolinas. When not writing, reading, or editing, Jennifer loves going on mall dates with her adult daughter and coffee dates with her hilariously fun husband. A news anchor intern has it all planned out, and love isn't on the agenda. Ubaldo Chavez, teacher and translator, knows the struggle that comes with generational poverty. But he found the way out – education – and is determined to help his students rise above. When he agrees to translate for a mission team from the United States he expects to encounter a bunch of "missional tourists" full of empty promises. Yet an American news anchor defies his expectations, and he finds himself falling in love. But what does he have to offer someone with everything? What Do You Do When Your Road is Broken? What do you do when your life takes a turn and you find yourself traveling a broken road? Where do you turn for help when it seems like even God has abandoned you? These were the top two questions that myself and my script co-scribe, Harold Cronk, started with when we first penned the script version of God Bless the Broken Road that later blossomed into a novel version. I understood the pain of these questions first hand. I had traveled on the broken road of infertility for over a dozen years. There were many times I felt like God had left me completely. How could he be so cruel as to not give us the gift of children, especially when I had been so faithful to Him all my life? We had never done anything to deserve this. I felt abandoned by Him and completely out of sync with my family, friends, and pretty much all of society. And a lot of days, I still do. 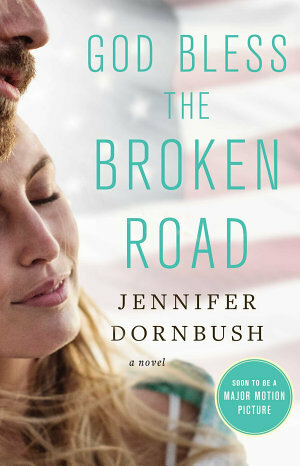 In my new novel God Bless the Broken Road, war widow and single mom, Amber Hill is struggling with her own painful road when she loses her husband to a bomb in Afghanistan. Why would God take away the gift of her husband? Amber feels she doesn't deserve the suffering and heartache God has put in her path. She's angry, bitter, and determined to "do life" on her own. I get Amber. I've been there. And, like Amber, I've found myself in those yelling matches with God - "Why did you do this to me?! Why would you give me this suffering?!" When Amber finally reaches her breaking point and has nothing left, she comes to a place where she can be still and hear His voice. The voice comes from an unexpected place—I won't give it away—but it's in that moment she is finally able to see that God's goodness and blessing have been surrounding her, even at her lowest point. I get that too. And you’ve probably been there too. Most of us have had those moments in our struggles where we are at the end of ourselves. We find ourselves in too much in despair to even want to go on. And that's the message of God Bless the Broken Road. We just need to pay attention to see what God is doing for us today. If we have even the tiniest mustard seed of faith that God is who He says He is, then He can move the mountains of our suffering and bring us into triumph and hope, no matter how broken our path seems. All we have to do is to open our eyes. Open our ears. Acknowledge Him. See His blessings. And give Him thanks. Thanksgiving...God With Us...God is with us. And believing this truth is what will save us from despair on the broken roads of our lives. 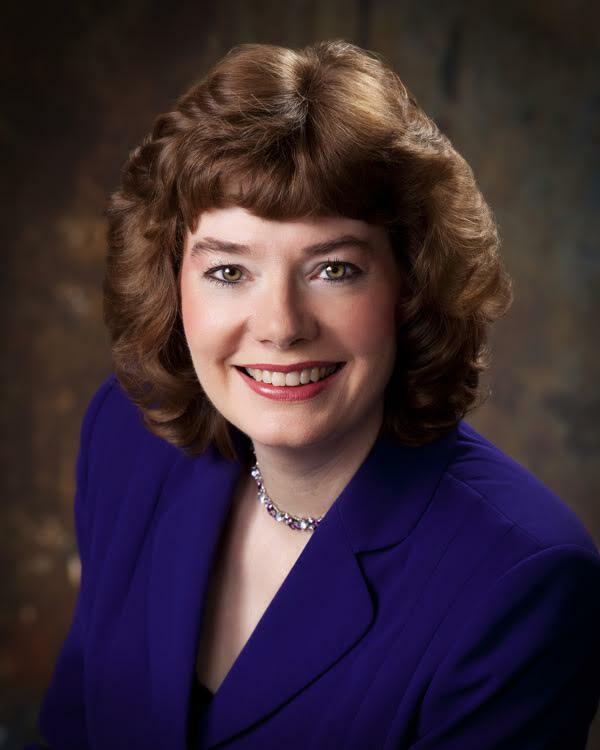 Author Bio: Jennifer is a writer, speaker, and forensic specialist creating a diverse range of stories that shed light on the dark places of the human experience. Her story creation is bred from a very unsheltered childhood as the daughter of a medical examiner whose office was in her home. She investigated her first fatality—an airplane crash—when she was 8-years-old and from there gathered a decade of on-sight experience in death investigation and 360 hours of forensic training through the Forensic Science Academy. The stories she creates stem from the unique range of human experiences. Because of her background, she does not shy away from telling stories about tough circumstances and how characters choose to deal with them. Jennifer’s characters encounter light in their darkness… redemption where none seems possible…and bits of levity to sweeten the journey. Her feature film, God Bless the Broken Road, is slated for release in 2017 in conjunction with the novel released on June 6, by the same title published by Simon & Schuster. Jennifer has several crime-drama series being developed for television and a bilingual kid’s show, Team Abuelita, in production with Baby First TV. Wanting to share her love of forensics with other storytellers, she scribed non-fiction work, Forensic Speak: How To Write Realistic Crime Dramas, published by Michael Wiese Productions, hailed as a north star to creating authentic crime dramas. As a forensic specialist, she has consulted with TV writers on network and cable TV shows. She regularly leads seminars and webinars on forensics and crime fiction and has taught screenwriting on the high school and university level and mentored new writers. Sign up for her newsletter and YouTube channel at www.jenniferdornbush.com. Blurb for Jennifer's book: God Bless the Broken Road is a heartwarming story about a grieving army widow who finds her way back to her daughter, her faith, and a new love. Amber Hill never imagined she would find herself a war widow and single mom. She feels robbed and is angry at God, and she doesn’t know how to help her nine-year-old daughter Bree through her grief. Where, Amber wonders, are the Sunday dinners, the picnics, the bike rides, the time together they should be enjoying as a family? Instead, Amber is left with a folded flag and an empty heart. Cody Jackson has a death wish. Or at least that is what his manager thinks, as Cody pushes his race car and his luck in every race. Is he hiding something, or just daring God and other racers to end the path of destruction he finds himself on as he rounds the last turn? When Cody encourages Bree to join in a Derby car race for local youth, she finds a way to channel her grief into something good—and she likes that her mom and Cody are starting to become friends—or maybe something more. Cody invites Amber and Bree to see him race, but as they watch Cody narrowly escape a devastating crash, she realizes she can’t lose another person in her life. It’s better to be alone than feel that type of grief again. But when Amber hits rock-bottom, she cries out to God and asks for help. With her faith, her life, her family, and her heart hanging in the balance, Amber is forced to decide between the broken road she knows so well and trusting that God will provide a new path.